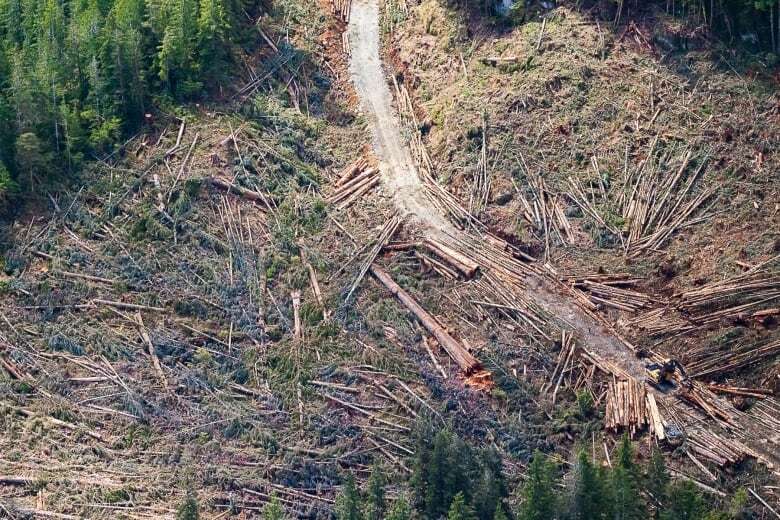 "Uncounted forest emissions" represent a major hole in B.C. 's climate plan and show the need for a provincial forest emissions-reduction strategy, according to a new report by an environmental group. Climate-warming carbon emissions released from B.C. forests in both 2017 and 2018 were more than three times higher than emissions from all other sources combined in 2016, the report from Sierra Club B.C. estimates. The vast majority of the estimated 237 million tonnes emitted by B.C. 's forests resulted from another record-breaking wildfire season that burned more than 13,000 square kilometres of land. "Our forests are not helping in the fight against climate change right now," said Jens Wieting, a campaigner with the group. "We need immediate steps to make sure that forests can help in the fight against climate change, and not make it worse." In 2016, the province pegged its carbon footprint from non-forestry sources at 61.3 million tonnes. Forests can act as either a "carbon sink" that absorbs excess greenhouse gases in the atmosphere, or a source of carbon emissions if it releases more carbon than it absorbs. The Sierra Club estimates that B.C. forests absorbed about 28 million tonnes of carbon dioxide in 2016. But the group's report says B.C. 's forests started emitting more carbon than they could take in in the early 2000s. The emissions result from logging practices such as clear-cutting of old-growth forests and slash burning, as well as the increasing impact of climate change including pine-beetle outbreaks and wildfires, the report says. The Sierra Club report projected a net total of around 209 million tonnes of forest-related carbon emissions were released in both 2017 and 2018. The projection is based on provincial data on non-wildfire forest emissions and initial estimates from the federal government on B.C. 's 2017 wildfire emissions. In 2017, CBC reported wildfires alone accounted for 190 million tonnes of carbon emissions. Last month, the B.C. government introduced the Clean B.C. plan, part of the province's goal to cut greenhouse gas emissions by 40 per cent by 2030, 60 per cent by 2040 and 80 per cent by 2050. The plan redirects revenue from the carbon tax into incentives like rebates for the province's biggest industries to move to cleaner operations. But the Sierra Club report says the climate action plan lacks specific measures to reduce forest carbon emissions. A major challenge, Wieting says, is that forestry emissions are not counted toward the province's official greenhouse gas inventory. "There's no action in place to reduce these emissions," said Wieting. "Forest emissions are not counted and that's the reason why they are largely ignored." The group is calling on the province to produce an annual report measuring emissions from forests and to take steps to reduce forest carbon emissions, including banning slash burning, protecting old-growth forests and ramping up B.C. 's FireSmart program, which outlines best practices for reducing wildfire risk to properties in vulnerable communities. 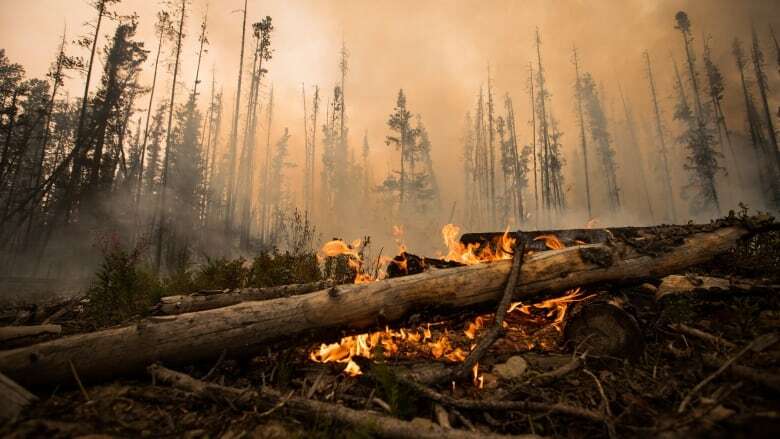 Stephen Sheppard, a forestry professor at the University of British Columbia, said there has to be a "multi-pronged approach" involving industry and government to reduce the impact of forest fires on carbon emissions — and it's going to be expensive. "The budgets that we've had in the past to manage fires, which really meant suppressing fires, is probably very inadequate now," said Sheppard. The B.C. government has spent at least $842 million responding to wildfires since 2017. The Ministry of Forests, Lands, Natural Resource Operations and Rural Development was unavailable for comment.